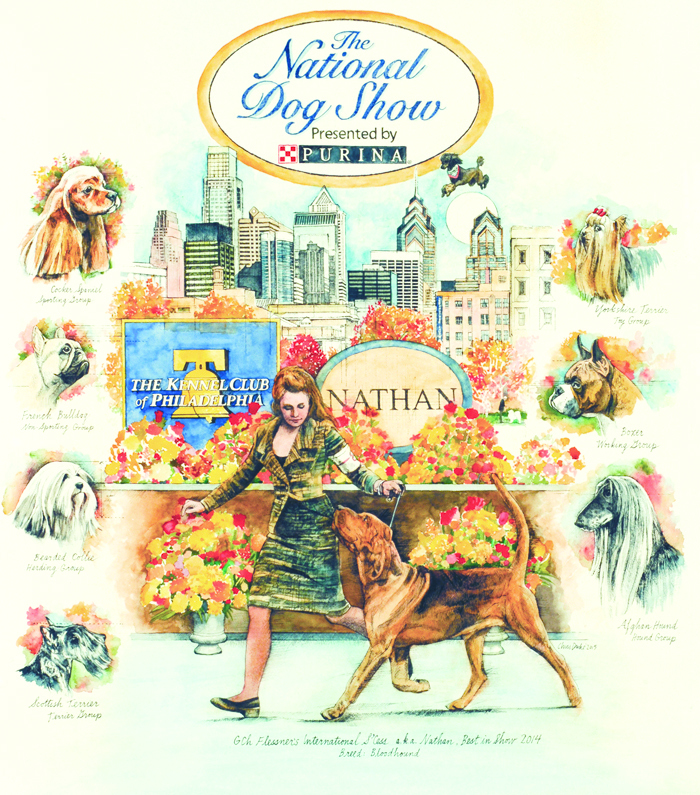 I was pleased to do all of the official art for the 2015 National Dog Show. I spent two great days in Philadelphia, at the show, signing posters and meeting people. The art was loved, which delighted me. Heady days! It is always the best to meet people whom I have previously illustrated. We had the best conversations. I love the Philly show!